Paul Ferdinand Massier, 94, passed away on July 6, 2018. Paul was born in Pocatello, Idaho on July 22, 1923 where he grew up, attended Washington Elementary, Franklin Junior High and Pocatello High School. 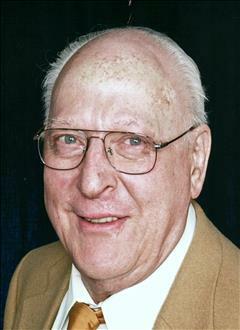 He was a member of the Franklin Junior High basketball team and played on the Pocatello American Legion Junior Baseball team for four years between 1937 and 1940 as a pitcher and utility infielder. In high school, he was Junior Class President, a member of the Junior Varsity basketball team, and also junior class representative of the yearbook staff. During his senior year, his major activity was editor of the 1941 Pocatellian. After graduation from high school, Paul attended the University of Idaho Southern Branch (now ISU) for two years and received a Certificate in Mechanical Engineering. During his time there, he was on the yearbook staff for the Wickiup, which was awarded the highest national “All American” honor rating. He served as associate editor as a freshman, and as editor during his sophomore year. Paul enlisted in the US Army Specialized Training Program and was called to active duty on July 1, 1943. After basic training, he was assigned to Texas A&M College to continue studies in engineering, and after four months was assigned to the 99th Infantry Division. One year later, he was transferred to the 53rd Medical Depot and with that unit was sent to the Asiatic Pacific Theater of Operations and participated in the World War II battle of Okinawa with the 4th Army. Following his honorable discharge from the Army, he continued his education, obtaining a BS degree with honors from the University of Colorado in 1948, and a MS degree from the Massachusetts Institute of Technology (MIT) in 1949, both in Mechanical Engineering. For short periods, Paul was employed as an engineer by the Pan American Refining Corporation in Texas City, TX, and by the Maytag Company in Newton, Iowa. Then in 1950, he accepted an engineering and research position at the Boeing Airplane Company in Seattle, WA, where he worked on the development of gas turbine engines. In 1955, Paul joined the Jet Propulsion Laboratory (JPL) California Institute of Technology in Pasadena, CA. During his 34-year tenure of employment there in several capacities, he worked on the advancement of knowledge of numerous technologies, including rocket engine cooling, new horizons in propulsion, combustion of alternative fuels, various concepts of direct conversion of heat into electricity, aero-acoustic noise reduction from jet engines, and many others. He retired in 1989. Many papers on his findings were presented at national technical conferences and published in technical journals. He was an active member of several organizations, including the American Institute of Aeronautics and Astronautics, the New York Academy of Sciences, the Research Society of Sigma XI, the Planetary Society, and the National Space Society. He received several awards in recognition of his contributions, including the Professional Achievement Award for Engineering at ISU. Biographical sketches of Paul and his contributions appear in a large number of publications, including Who’s Who in the World, Who’s Who in America, Men of Achievement, the International Who’s Who of Intellectuals, Who’s Who in Science and Engineering and Leading Engineers of the World. In 1948, Paul married Miriam Parks of Galesburg, Illinois, with whom he had two daughters. Miriam died in 1975. In 1978, Paul married Dorothy Hedlund Wright, a Pocatello native with two sons of her own. In 2001, after many years in Arcadia, CA, Paul and Dorothy moved to Las Vegas, NV. Dorothy died there in 2016. Paul was a member of the First Baptist Church in Pocatello, where he was active in youth groups. He later joined the Arcadia Congregational Church in California, where he continued to be very active as a church member. In addition, as a parent, he became very involved with school activities and was awarded a Life Service Membership in the California PTA. During his retirement years, Paul researched and completed a 300 page family genealogy, after having traced his paternal ancestry back 14 generations to the mid-1500’s. The document contains not only branches of ancestral descendants, but also includes pictures and stories about many relatives. In addition, he wrote four books and other documents which contain his memoirs, a family history, and his professional career as an engineer. Beginning in 2009, as a columnist for the Idaho State Journal, Paul wrote more than 100 stories about his childhood and teenage experiences during the 1930’s and 1940’s while living in Pocatello. The more recent stories are featured in the Journal’s website under local history. Paul was also occupied with transferring his 16mm home movie and travelogues from film to DVD, adding narration and original tape recorded sounds. He began taking movies in 1958 and had accumulated about 10 miles of film, which had been carefully edited, organized, and placed on numerous reels. His travelogues of Europe and many countries and islands in the South Pacific have been shown to many groups. Paul is survived by his two daughters, Marilyn Schwegler (Spencer) and Paulette Holden (Doug), four grandchildren, and 9 great-grandchildren. He was preceded in death by both of his wives, Miriam and Dorothy, by his parents, John and Katie Massier, and by three brothers: John, William, and Emil. Services will be held Saturday, July 21, 2018 at 11am in the Cornelison Funeral Home, 431 N. 15th Ave. Pocatello. Family will receive friends one hour prior to services. Interment will be in the Mountain View Cemetery, Pocatello.